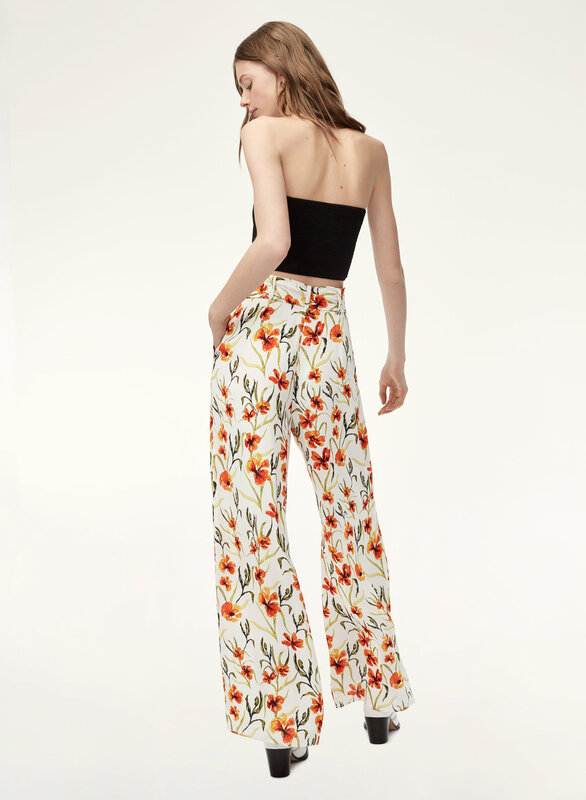 Styled with coleus knit top . 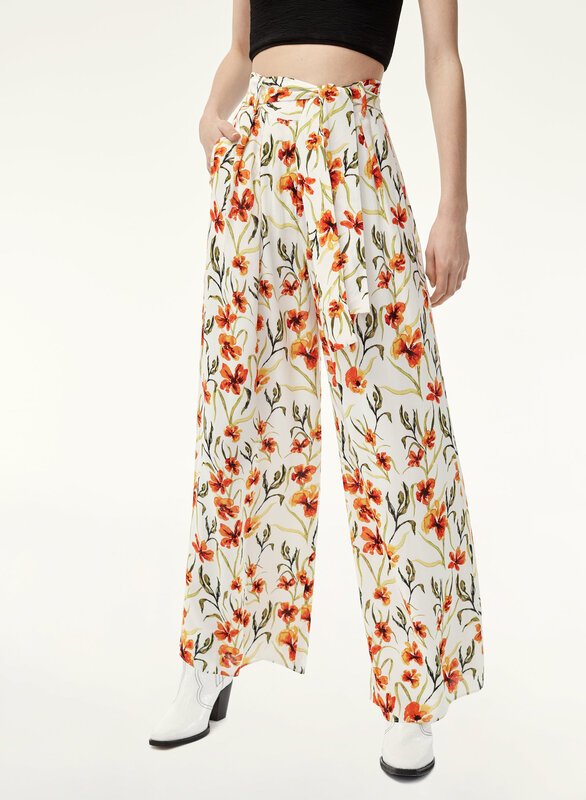 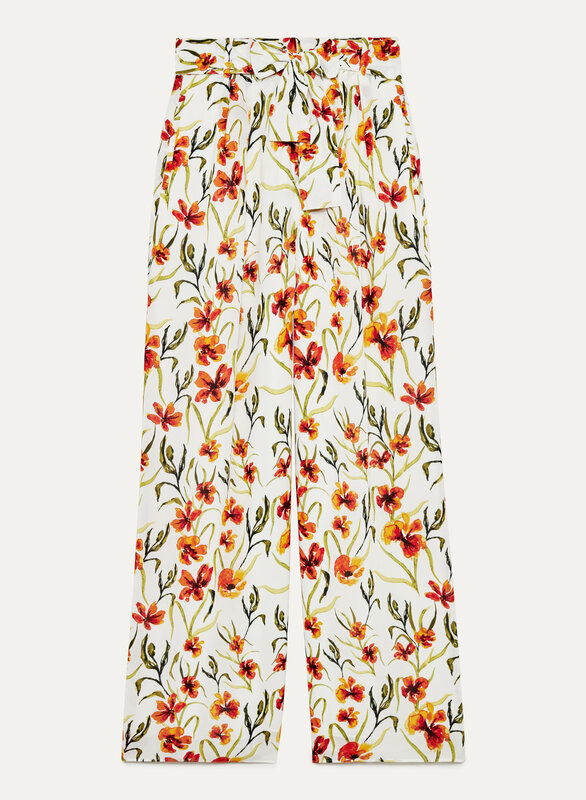 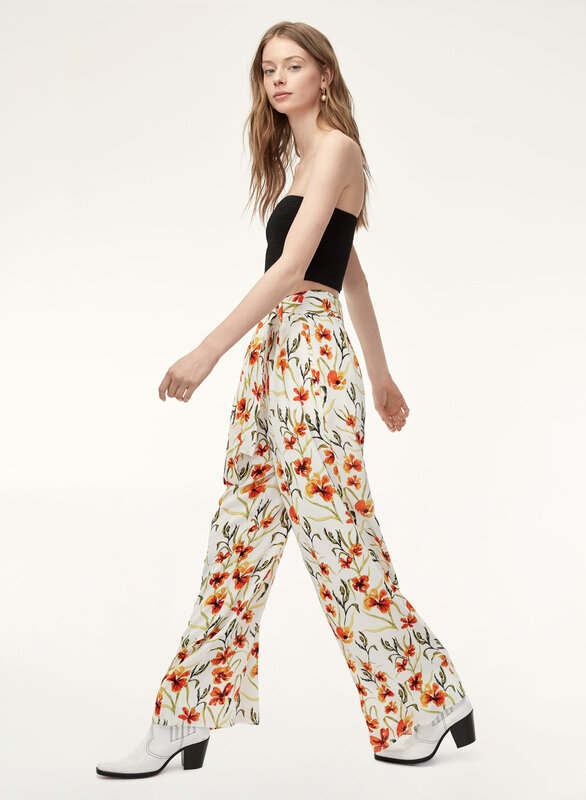 These wide-leg pants are cut from textured crepe that drapes beautifully — it's printed with a custom floral design based on a painting by our in-house artist. 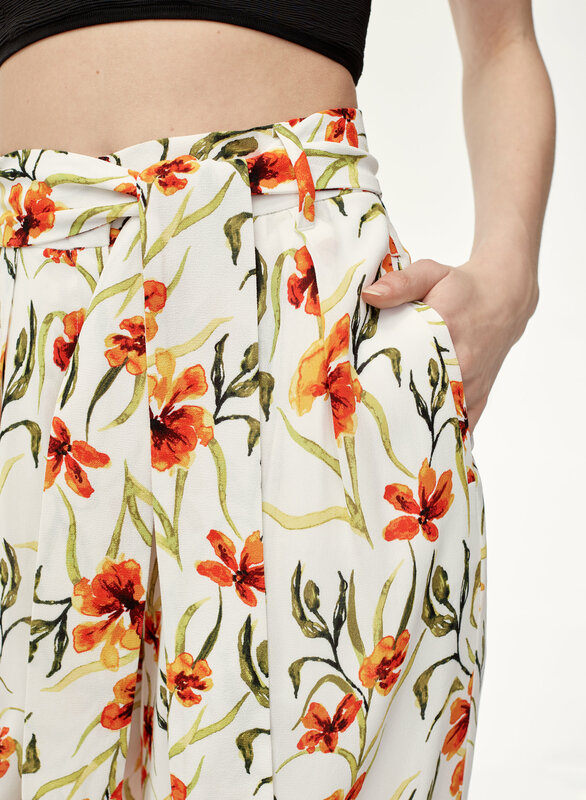 The high-waist silhouette is tailored with darting for the perfect fit, while a fringed sash belt adds feminine flair.